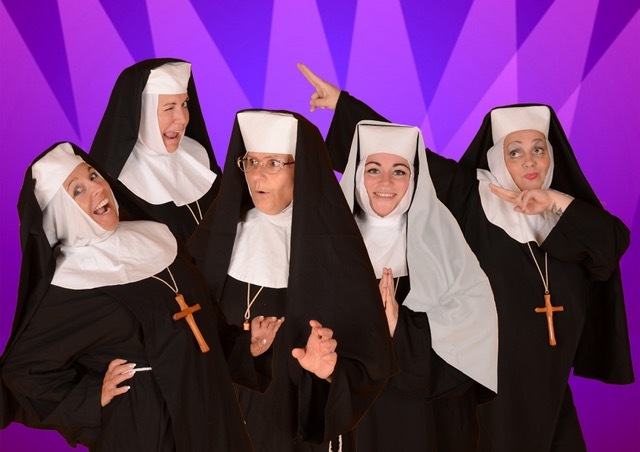 Event ListingDeben Players presents… NUNSENSE! Here we meet Reverend Mother Regina, a former circus performer; Sister Mary Hubert, the Mistress of Novices; a streetwise nun from Brooklyn named Sister Robert Anne; Sister Mary Leo, a novice who is a wannabe ballerina; and the delightfully wacky Sister Mary Amnesia, the nun who lost her memory when a crucifix fell on her head. Featuring star turns, tap and ballet dancing, an audience quiz, and comic surprises, this show became a Broadway smash hit.